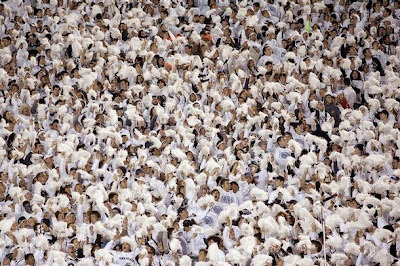 The OLD Big Dead Sidebar: It's A White Out! If you live in the southern Illinois region, take a look out your window. It might look a little something like the picture above. Good ole white out conditions out there aren't really that good on the wheels. My car is more iced out than an NBA superstar's entourage. But the Snow Day (and the ensuing day off that comes with said Snow Day) has allowed me to put forth a full day of blogging. And everyone knows how much I love to blog. So I hope you're ready to get (snow) blown away.